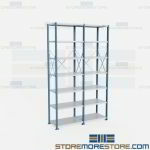 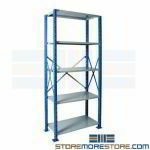 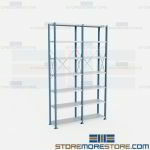 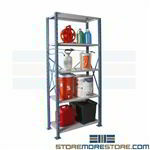 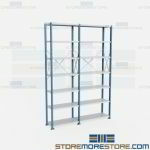 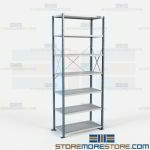 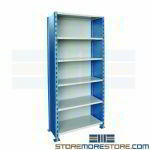 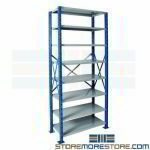 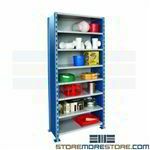 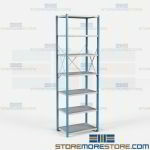 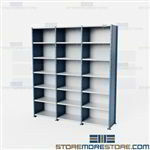 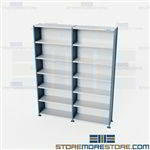 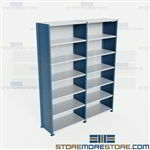 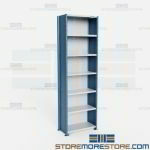 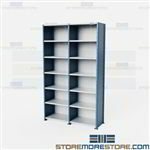 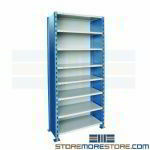 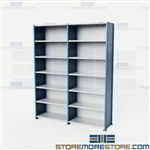 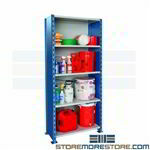 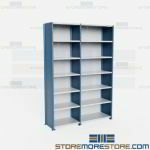 Open and closed shelving units are in stock and ship in 8-10 business days. 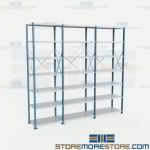 The shelves clip into box type H-posts and are adjustable on 1-1/2" centers. 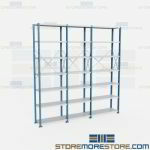 Heavy-duty shelving units with H-posts will hold 500 lbs. 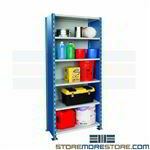 to 800 lbs. 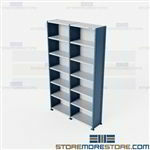 per shelf depending on the shelf size. Heavy-duty shelving units with beaded posts will hold 500 lbs. 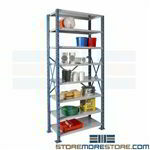 to 800 lbs. 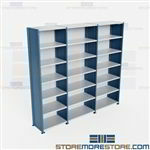 per shelf depending on the shelf size. 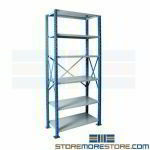 Extra heavy-duty shelving units with H-posts will hold 900 lbs. 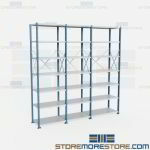 to 1,100 lbs. 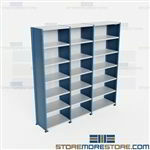 per shelf depending on the shelf size. Extra heavy-duty shelving units with beaded posts will hold 900 lbs. to 1,100 lbs. per shelf depending on the shelf size.